MSC Seaside is lively and fun, incorporating jaw-dropping entertainment, lots of outdoor spaces (it's a sun worshipper's paradise!) and family-friendly activities that include a 4D cinema, bowling, ziplines and a large water park. But what really sets Seaside apart from other ships sailing in the Caribbean is its European flair and service and the international mix of cruisers onboard. The vessel's interior showcases glitzy Italian design, meals in the dining room are European-style (read slow, sometimes taking more than two hours) and service from waiters and bartenders usually comes minus the smile many North Americans expect. Don't get us wrong, most of the crew onboard are pleasant and generally helpful; just don't expect the over-the-top friendliness you often find on other cruise lines. The one exception to this can be found in the ship's Yacht Club, a suites-only enclave for the ship's highest-paying passengers. Here, service is friendly, attentive and efficient, and many Yacht Club passengers spend the bulk of their time onboard within its confines, whether in the spacious lounge or on the exclusive Yacht Club sun deck with accompanying pool. To cater to the ship's largely 40-something English- and Spanish-speaking passengers -- many of whom live within driving distance of Miami -- most announcements on Seaside are only made in English and Spanish. In the theater, however, you'll hear about five languages, and there's usually a large contingent of passengers from several European countries, including Italy and Germany. There are plenty of opportunities to make new friends from all over the world, with anywhere from 50 percent and up of your fellow passengers from outside of North America. One final note about MSC Seaside: Be prepared to pay extra for most of the onboard activities, including all of the oversized arcade-style attractions (4D cinema, Formula One racecar simulator, bowling, etc.) and outdoor activities like the zipline. Cruise Critic’s professional photographers and our extraordinary community members have taken 2,794 pictures of MSC Seaside. When you visit our photo galleries, you can be assured that what you see is what you get. Daytime: Dress is casual, with people sporting everything from jeans and T-shirts to bathing suits and flip-flops. Evening: In the evenings it's dressier, but more smart casual than formal, except for the two "elegant" (not formal) nights per cruise. Jackets for men (tie optional) and dresses or pantsuits for women are appropriate, but the code isn't enforced. 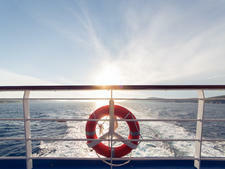 Suits, tuxes and ball gowns are not necessary, but many passengers do wear them, particularly on "Meet the Captain" night. Not permitted: T-shirts and shorts are not allowed in the ships' public areas in the evenings. No swimwear is allowed in main dining rooms. Jeans are not allowed in the dining room on elegant nights. 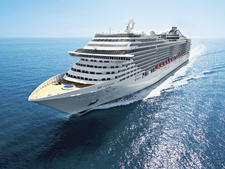 Read more about MSC Cruises dress code. 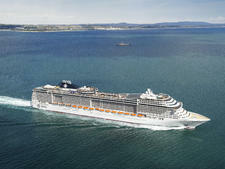 The 1,952-passenger MSC Sinfonia is one of four Mistral-class ships that saw a new midsection during a major 2014/2015 refurb. Sinfonia debuted in 2002. 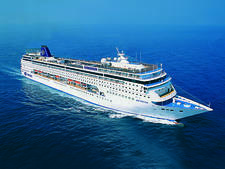 Musica serves an English-speaking crowd but with a largely international mix of passengers. Expect dance lessons and a decent wine bar to keep you occupied. Spendida is European through and through, from the food and decor to the coffee and cigarettes. The ship sails the Mediterranean and most rooms have balconies. One of the most multinational ships sailing in North America, with a decidedly Mediterranean flare, active nightlife and the suites-only Yacht Club. 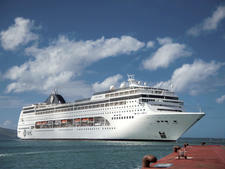 MSC Lirica is one of four medium-sized Mistral-class ships dating from 2003. In 2014, an 80-foot-long section was sandwiched into the middle of the ship. 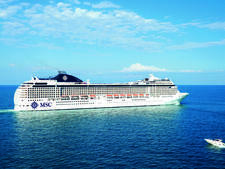 MSC Preziosa provides a fun, relaxed and affordable way to cruise the Med. 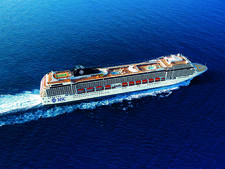 With 1,751 cabins and a total capacity for 4,345 passengers, Preziosa offers a good choice of accommodation options. 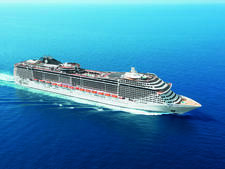 The 3,300-passenger MSC Fantasia debuted in 2008 as the largest and most innovative cruise ship ever built by Italy-based MSC Cruises. 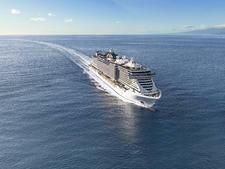 MSC Seaview is MSC Cruises' second Seaside-class ship, launched in June 2018. 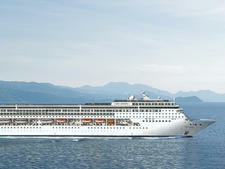 The 5,179-passenger ship, along with its sister, will have the largest ratio of outdoor space of any cruise ship. Tastefully exuberant decor -- brass handrails on the staircases, marble countertops at reception, a waterfall in the atrium -- means Poesia is elegant but not boring. 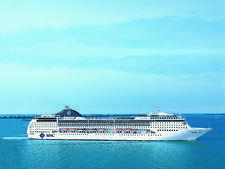 Part of the Musica Class of ships, 2,518-passenger MSC Magnifica has a sprawling spa, a range of dining venues and a high number of balcony cabins. 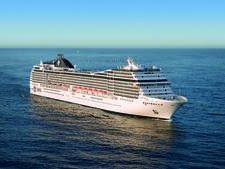 MSC Armonia is the oldest ship in the MSC Cruises fleet. 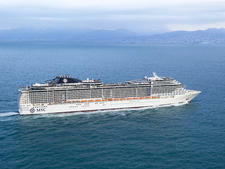 Built in 2001, Armonia began sailing under the MSC banner in 2004. 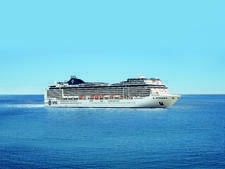 MSC Orchestra, which joined the fleet in 2007, is the line's eighth ship. 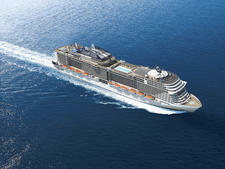 Like MSC Musica, Orchestra represents an evolutionary new design strategy for the line. The 4,475-passenger ship (5,714 at capacity) boasts a number of industry firsts, including a Cirque du Soleil venue and promenade with an LED ceiling that projects different scenes throughout the day. A 5,632-passenger ship in MSC's new EVO Class, it's got plenty of outdoor space for lounging and dining. 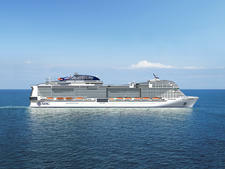 Due for delivery in October 2019 and September 2020, the first of two new Meraviglia Plus ships will carry nearly 6,300 passengers plus 1,700 crew. 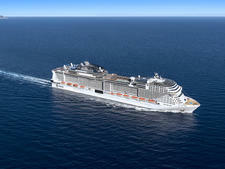 MSC Virtuosa, the second ship in MSC Cruises' Meraviglia Plus Class, is slated to launch in September 2020 and will carry 6,297 passengers.